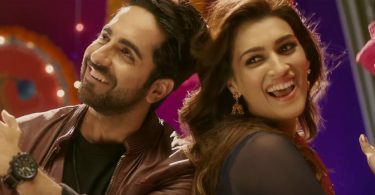 The Twist Kamariya lyrics from ‘Bareilly Ki Barfi’, featuring Kriti Sanon, Ayushmann Khurrana and Rajkummar Rao. Directed by Ashwiny Iyer Tiwari, the lyrics and music has been composed by Tanishk – Vayu. The song has been sung by Harshdeep Kaur, Yasser Desai, Tanishk and Al Ta Mash. If there are any mistakes in the Twist Kamariya Lyrics from Bareilly Ki Barfi, please let us know by submitting the corrections in the comments section.